The European health insurance card provides European citizens with free access to medical treatment required while travelling in another country within the European Union, the European Economic Area or Switzerland. The card is nominative to each citizen, adult and child alike, bearing his or her name and date of birth on the face of the card. With this contract, Paragon ID will supply, personalise, package and despatch by mail, some 2.5 Million European health insurance cards. Paragon ID already manages the manufacture, personalisation and despatch of millions of cards and letters, notably in the domains of health, Transport and Smart Cities, including Paris’ “Pass Navigo” and SNCF’s “Grand Voyageur” programme. 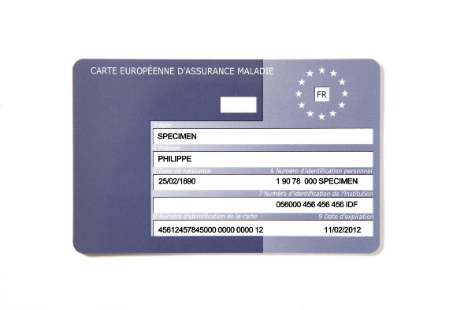 The European health insurance cards will be manufactured in France and personalised at Paragon ID’s secure site in Argent-sur-Sauldre (in the Centre-Val de Loire department). The site’s ISO 27001-certified processes will ensure that all data is managed in accordance with GDPR regulations and all cards produced in a secured environment, from reception of the data to the despatch of the cards by post.